New Mexico: When Sherrie Nixon saw the six strands of razor wire strung along the US-Mexico border fence in her Arizona city, she said she wanted to cry. “They’re turning our town into a military base. It’s like the front lines of some kind of war zone,” Nixon, 68, told the Nogales City Council on Wednesday night. “Please take a stand and at least have them get rid of the razor wire. 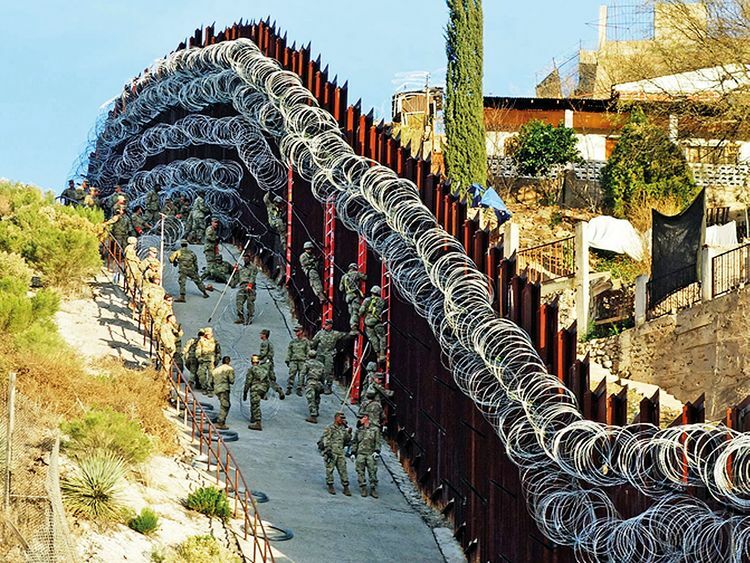 It’s a public nuisance, it’s lethal.” Minutes later, the council unanimously passed a resolution condemning the use of the concertina wire as an indiscriminate use of lethal force normally reserved for battlefields and high-security prisons. “We’re not going to allow this in Nogales,” Mayor Arturo Garino, a Democrat, said at the meeting, which was recorded and streamed on the internet. “We have children who live right next to it, 10 feet away from it.” Garino said his city was very safe, and he did not want the eyesore and safety hazard of the wire to ruin the community’s healthy economy. He planned to file a lawsuit over it. The US military has put up over 113km of the wire along the 3,219km border and will add an extra 258km, a Defence Department spokesman said. The US Border Patrol asked for up to eight strands of wire in its Tucson sector for “high risk urban areas commonly exploited by criminal smuggling organisations,” Customs and Border Patrol said in a statement.